This year is an Olympic year. The summer Olympics are to be held in Rio and Daniel will be covering this event for us. 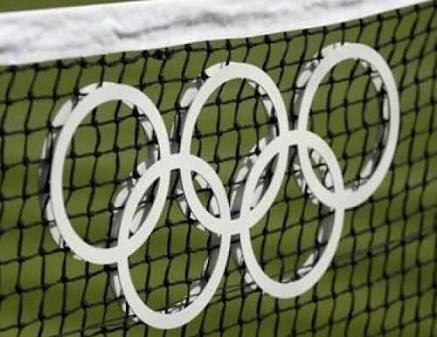 The 2016 Olympic Games in Rio, will feature the sport of tennis for the fifteenth time in it’s history. Tennis was first a feature of the Summer Olympics in 1896 but was dropped from the games in 1924 and not reinstated until 1988, following two demonstration events. In 2004, at the Athens Olympic Games, results were included in the ATP and WTA rankings but the games in London 2012, was the last time this will happen. At Rio, in 2016, results will not carry any points for tour rankings. Since it’s reintroduction to the Olympics in 1988, the importance of winning a gold medal has increased for professional players. Whereas some were criticising the inclusion of the sport, the majority of players now see it as being just as important, if not more important, than winning a Grand Slam title. The winning of all four Grand Slams and the Olympic Games is known as the ‘Golden Slam’. A glance down the names of previous winners of the Olympic tennis tournament reads like a who’s who of the game, with Andre Agassi, Rafael Nadal, Andy Murray, Steffi Graf, Lindsay Davenport, Venus Williams and Serena Williams all claiming a gold medal. For one player on the ATP Tour, Rio 2016 is a huge event. Former world number one, Roger Federer has won all four major tournaments in his career but is missing one thing, an Olympic gold medal. Currently recovering from a knee injury, Federer will turn 35 during the course of the Olympic Games and it will surely be his last chance for success. However, Novak Djokovic, the best player in the world at present, will have something to say about that. Serena Williams, if fit, will be aiming to win her second Olympic gold, at what will be her final games. There are also doubles tournaments to enjoy, with the Swiss partnership of Roger Federer and Martina Hingis playing together, in an attempt to win gold for their country. Former Olympic champion, Rafael Nadal, has commented on his surprise of chosen surface for the event, which is hardcourt. In South America, clay is the traditional surface for tennis and the one which Nadal favours, coming from Spain. The Brazilian players participating in the event, will also have a preference for clay, which does make the choice slightly strange. The reason hardcourt has been chosen, is so it does not disrupt players preparation for the US Open in September, which is played on the same hardcourt surface. The question is, should the Olympic Games, which comes around every four years, be considered a ‘stand-alone’ event or blended in with the tour calendar, as it has been for 2016?